Debbie originally wanted to be a nurse. She spent 12 years working as a certified nursing assistant in Mease Dunedin Hospital, providing care for patients in almost every department. Debbie eventually transitioned into medical office assistance after the birth of her third child. 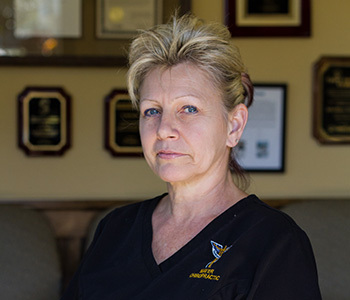 Her career led her to a podiatrist’s office and eventually into a family health care practice. After 16 years of learning and growth within a large family practice, Debbie was ready for a new challenge. Missy Russell, one of Debbie’s friends from her Mease Dunedin days, convinced Debbie that her multi-faceted skill set would be an asset at Mayer Chiropractic. She joined the team in May of 2016 and enjoys learning new things every day about upper cervical chiropractic care. Although Diana was born and raised in Chicago, she always wanted to live in Florida. When the opportunity came to move to the Sunshine State she jumped at the opportunity. 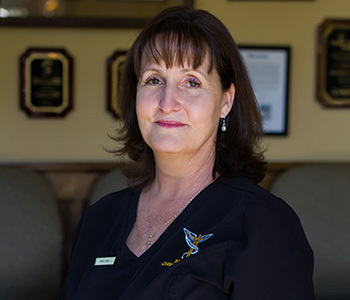 Diana had been seeing an upper cervical chiropractor in Chicago, so one of the first things she did upon relocating to Clearwater was to find another one. She was delighted to find Dr. Hunt and shortly after establishing at Mayer Chiropractic as a patient, she was hired to help in the office. Diana checks patients in and settles them into rooms prior to treatment, helping to ensure that all patients are given the attention and care that each person needs. She finds fulfillment in these interactions and in the relationships that staff members build with patients at Mayer Chiropractic. 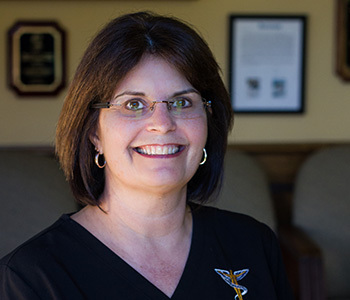 Missy has always had a love for the medical field and has been a registered nurse for over 30 years. A Clearwater native and third generation Floridian, Missy became acquainted with the Hunt family while her daughters attended Skycrest Christian School with Dr. Travis Hunt. She remembers that he won awards for perfect attendance and was always astonished by his good health as a child. Missy first became aware of upper cervical chiropractic care while researching ways to alleviate her daughter’s chronic headaches. Her search eventually led her to Mayer Chiropractic, where Dr. Hunt diagnosed Missy’s daughter with a Chiari malformation and finally gave her some relief. After witnessing the power of upper cervical care, Missy was eventually persuaded by Dr. Hunt to head the staff at Mayer Chiropractic. Her personal experience with both the chiropractic and medical professions, as well as her outgoing personality, make her an ideal office manager for this family-oriented practice.